This is my first glanace at “IBM Cognos for Microsoft Office”. What is “IBM Cognos for MS Office”? 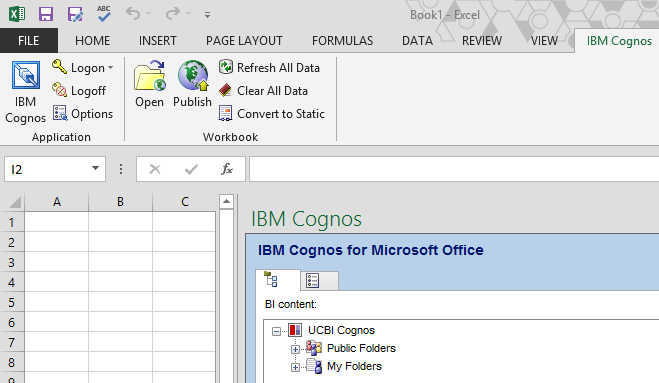 “IBM Cognos for MS Office” provides an integrated environment for IBM Cognos products and MS Office and it’s free if you are licensed for IBM Cognos BI. You can use IBM Cognos for MS Office to select pieces of reports to embed in MS Excel workbooks, MS Word documents, or MS PowerPoint presentations, including data, metadata, headers, footers, and charts. It doesn’t seem to be built in MS Access or Outlook and I’m OK with that. 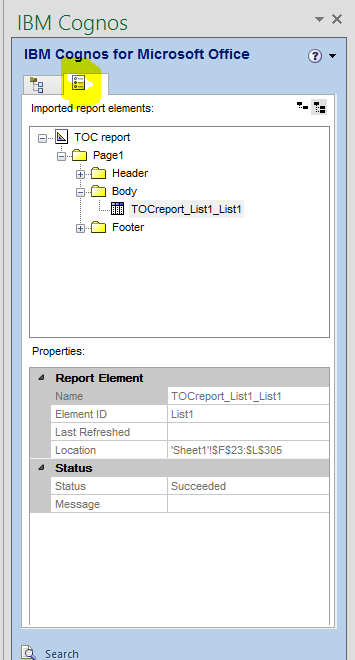 You can use predefined reports or you can create new content using IBM Cognos PowerPlay Web, IBM Cognos Query Studio, IBM Cognos Business Insight Advanced, or IBM Cognos Report Studio. I’m testing it with Cognos BI 10.2.1 FP2 and MS Office 2013 (32bit) on Windows 8.1 PC (64bit). Once you have the compressed file opened you can install the tool on your PC by running “\ofc_10.2_win_ml\win32\win32\issetup.exe” It should install the software to “C:\Program Files (x86)\ibm\cognos\Cognos for Microsoft Office”. The reason I point this out there is a interesting folder called Automation going have to check this out. “C:\Program Files (x86)\ibm\cognos\Cognos for Microsoft Office\Automation” If anyone has worked with this please share. Then you can start Dragging and Dropping or Click on Import Content to pick specific content from a report. 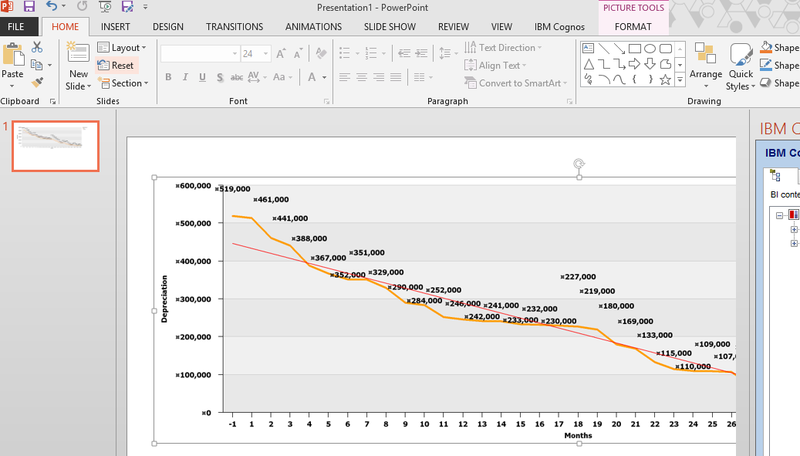 These are MS Excel worksheet example screenshots. 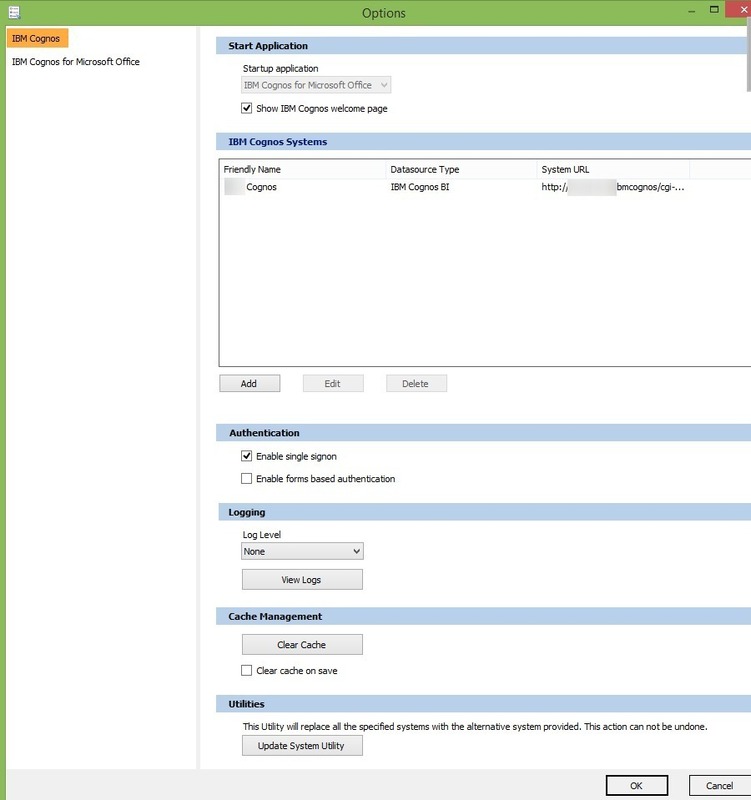 When you run a report with prompt(s) a html windows will open for you to select your prompt(s) and then the data will populate in the MS workspace. The tool seem to remembers your filter selections. Not sure how to pick new filters. 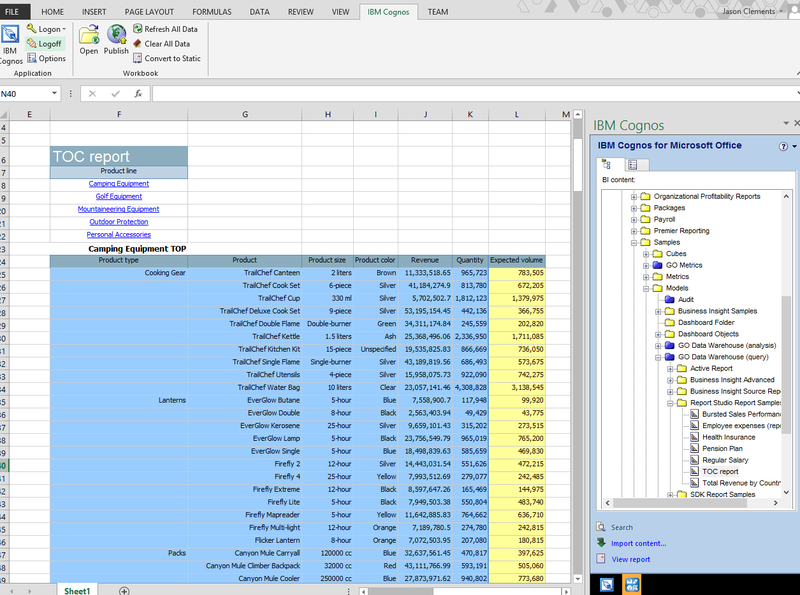 “IBM Cognos for Microsoft Office” seems to be replacement for CAFE (Cognos Analysis for Excel).